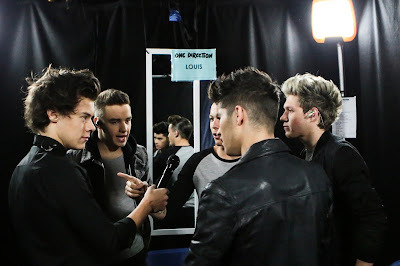 Home / Harry Styles / Liam Payne / Louis Tomlinson / Morgan Spurlock / Niall Horan / One Direction / One Direction: This Is Us / Simon Cowell / The X Factor / TriStar Pictures / Zayn Malik / Experience the Band's Life on the Road in "One Direction: This Is Us"
Experience the Band's Life on the Road in "One Direction: This Is Us"
More than just a filmed concert and tour documentary, this is a chance to get up close and personal with the world’s biggest band. Filmed while the guys were taking their world tour to arenas around the globe -- from Mexico to Japan to London’s famed O2 arena -- the movie mixes high-energy performance footage, candid interviews, and behind the scenes footage to offer a one-of-a-kind perspective into the talent, hard work and mischief that goes into being One Direction. It’s a remarkable story of humble origins, an unprecedented rise to fame and a fan-driven phenomenon that enabled One Direction to conquer the world. The film is directed by Academy Award-nominee Morgan Spurlock and produced by Simon Cowell, Adam Milano, Spurlock, and Ben Winston. In the summer of 2010, Niall Horan, Zayn Malik, Liam Payne, Harry Styles, and Louis Tomlinson entered Britain’s biggest talent show “The X Factor,” as talented individual artists. At the boot camp stage of the competition “X Factor” judge Simon Cowell offered the guys the opportunity to stay in the competition as a group. Calling themselves One Direction, they were immediate sensations. A group of talented and cheeky guys who immediately captured a nation of young girls. They didn’t look or sound pre-packaged, they just exuded talent, friendship and charisma both on and off stage. Fans responded in their thousands, flooding social media, waiting for hours outside TV studios, and voting the boys through each round of the competition through to the grand final. Though they came in third overall on the show – narrowly missing the record deal awarded the first prize winner – the boys knew instinctively that this was not the last the world would see of One Direction. That instinct to stay together instantly paid off. The band signed to their “X Factor” mentor Cowell’s record label, Syco Records and quickly got to work recording their debut album whilst performing across the UK and Ireland on the X Factor Live Tour. A book chronicling their experience on the road – Forever Young – went straight to number 1 on The Times Best Seller List. The album, meanwhile, was coming together with a stellar team of writers and producers, from Steve Mac (Westlife, Leona Lewis) to Rami Yacoub (Britney Spears, Backstreet Boys) and Red One (Lady Gaga, Jennifer Lopez). 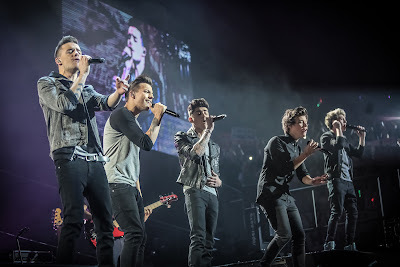 The band’s debut album, Up All Night, released in October 2011, was an instant smash; a feat forecast by the fact that their first single, What Makes You Beautiful, had already become the biggest single pre-order in Sony Music’s history. In the United States, the boys sought North American success with a string of appearances and performances that not only turned What Makes You Beautiful into an iTunes hit, but led Up All Night to a feat never before achieved by a British band: entering the Billboard chart at number one with their debut record. With three MTV Video Music Awards, a Nickelodeon Kids’ Choice Award (for Favorite UK artist), and three MTV Europe Music Awards (including Best New Act and Best UK & Ireland Act), it truly seemed there was no stopping their rise to the top. The band’s sophomore album, Take Me Home turned 2012 into a banner year for the boys, hitting the top of pre-order charts in 50 countries. The album’s first single, Live While We’re Young, went straight to No. 1. All in all, Take Me Home topped the charts in 37 countries. 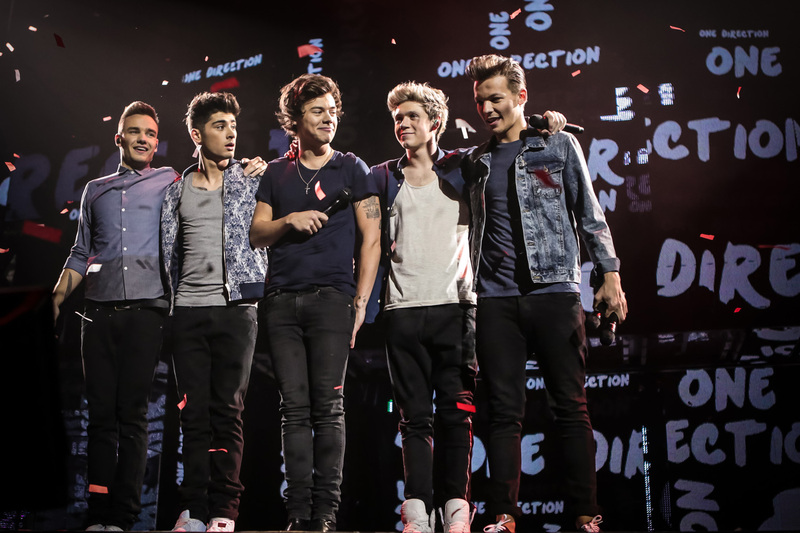 The Take Me Home tour, which continued into 2013, was a global sellout, taking Niall, Zayn, Liam, Harry, and Louis to Europe, North America, Canada, Australia, New Zealand, and Japan. In July, they released Best Song Ever, a track written specifically for the film. The fun and cheeky video for the song (Directed by Ben Winston) broke records on VEVO with 12.4 million views in one day, making it the most viewed debut video ever on the platform. During the tour, though, the notion of a film came together, giving the boys a chance to conquer an entirely different medium. Opening across the Philippines on August 28, “One Direction: This Is Us” is distributed by Columbia Pictures, local office of Sony Pictures Releasing International.